Ole Gunnar Solskjaer’s tenure at Manchester United survived its first big test when they beat Tottenham 1-0 at Wembley on Sunday. The decisive victory, the Norwegian’s sixth consecutive one since taking charge, has had spirits soaring across the outfit. However, a more comprehensive test of the gaffer’s style and the abilities of the players will arrive in the form of a two-legged Champions League encounter against PSG in February and March. The French giants are amongst the most offensive side in Europe, and being drawn against them in the biggest stage of them all is always a spot of some worry. Neymar, Cavani, and Mbappe will pose the biggest threat to De Gea’s usually impeccable defense, as the trio is one of the most prolific ones when it comes to scoring goals. Sizing up the encounter and the change of guard at Old Trafford, each of them had interesting comments to make. PSG also host Eric Maxim Choupo-Moting in their squad, and the Mancunian giants will remember the forward as the player who scored a brace against them during their encounter with Stoke City in 2017. 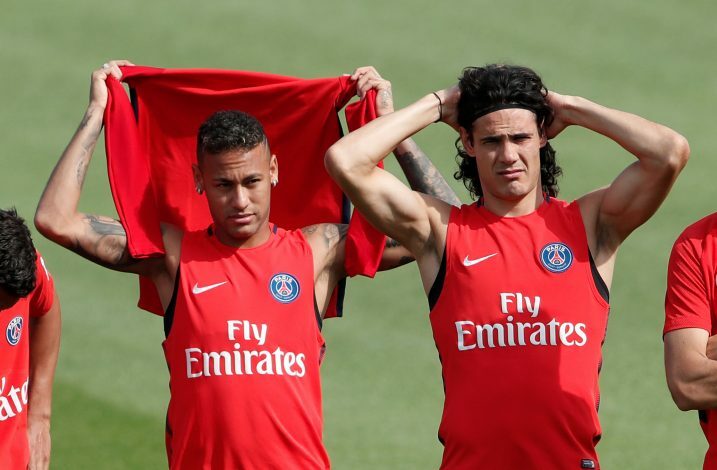 Of course, the biggest threat that United will have to deal with will be that of Neymar. Many critics had shrugged aside the brilliant form and goal tally that the Brazilian enjoyed following the departure from Barcelona, citing the lack of challenge in Ligue 1 to be behind Neymar’s form.